Editor’s note: Baseball is back and Yahoo Sports is previewing all 30 teams over the next month. This year’s previews will focus on fantasy and reality, as our MLB news staff and our fantasy baseball crew come together to assess each team before opening day. Next up, the Pittsburgh Pirates. The Pittsburgh Pirates’ only hope is pitching. In a season that’s almost certain to end in disappointment, the one thing really worth watching is the pitching. That goes for fantasy baseball or the real thing. Pittsburgh’s rotation is at least interesting, even if it’s not a sure thing. 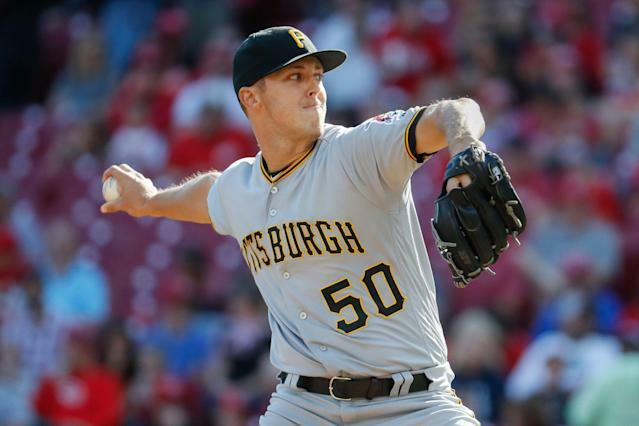 Jameson Taillon looks like he might finally deliver on his potential. Chris Archer is here now too, but he’s also never fully lived up to the Cy Young potential. Looking at that lineup tho? Starling Marte is still a very good player, and Gregory Polanco is another Pirate loaded with the P-word — potential —who has never really realized it. 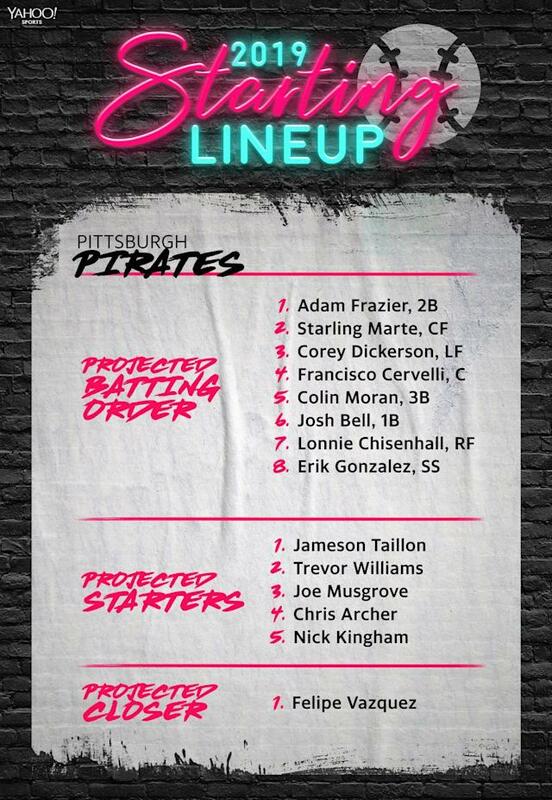 As it stands, Pittsburgh’s lineup is full of guys who you want to be better than they are. The Pirates offseason wasn’t very thrilling. Like a lot of teams, it consisted of a couple short-term deals and some depth additions that they’re hoping have high upside. They signed Lonnie Chisenhall and traded for Erik Gonzalez. They also signed Melky Cabrera and Francisco Liriano, who are both past their best days. It’s certainly not keeping with all the moves the Cincinnati Reds made or the St. Louis Cardinals adding Paul Goldschmidt. Who will be the Pirates’ best fantasy buy? What is Pittsburgh’s biggest fantasy question? Pirates fans have a couple players to be excited about in 2019. Pitcher Mitch Keller should get a shot at the majors at some point. He’ll have to prove he can adjust in Triple-A after struggling at the level last year. 1. Steady rotation: The Pirates were middle of the pack in virtually every notable hitting and pitching category last season. The area that's mostly likely to breakthrough this year is in the starting rotation. That's because they should get a full season from Jameson Taillon and Chris Archer, and they have top prospect Mitch Keller coming soon too. If that trio comes together, and if both Joe Musgrove and Trevor Williams hold up their end, the Pirates pitching could be dangerous. 2. Gregory Polanco's recovery: The 27-year-old outfielder was primed to finish the 2018 season on a high note after posting .901 OPS over his final four months. Then he injured his left shoulder and knee on an awkward slide. On Sept. 12, Polanco had surgery to repair a torn left labrum in that shoulder. The surgery typically requires a 7-9 month recovery, meaning Polanco will miss time in the regular season. How much time, and how quickly he can knock the rust off, will help determine how effective Pittsburgh's lineup will be.